Another, less famous ghost in the buildihng is said to be that of William Marwood, (1820-83,) who was the former hangman at Lincoln Castle, just across the square. He is not said to inhabit the building, merely to visit sometimes as he would have done in his hanging days when the Castle Hill Club was a pub. He has apparently been seen looking out of the room where he used to stay, which is a window on the East Side of the building. 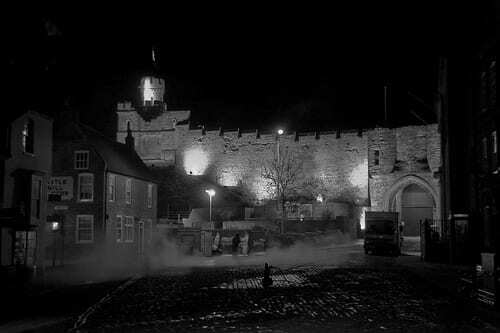 Although there are recordings of a building on the site of the Castle Club right back to the early 1640s, it is very likely that this building or a different one was situated in the location for hundreds of years before because of the situation of the plot between the castle and the cathedral. The earliest records of the building as it is today were to the Black Boy Inn, a pub, in a document dated 1745. Most of the building has been changed over the years, particularly after the 1700s, but a few of the original features remain the same, such as a chimneystack in the hall of the building. The building remained a pub until 1923 when it was closed down, and little has changed in it’s appearance to this day. When it was shut down some of the former regulars of the pub got together and reopened it as it is known today, the Castle Hill Club. There were some refurbishments throughout the building during the mid 1960s and in the 90s the club became ‘member owned’ which it still remains today.